I believe we tend to fear what we do not understand. How often in life have we overcome a fear once we learned more? Recently a friend of mine was excited about a new peach flavor of a family favorite cereal. To share this new treasure, she posted a picture to Facebook. 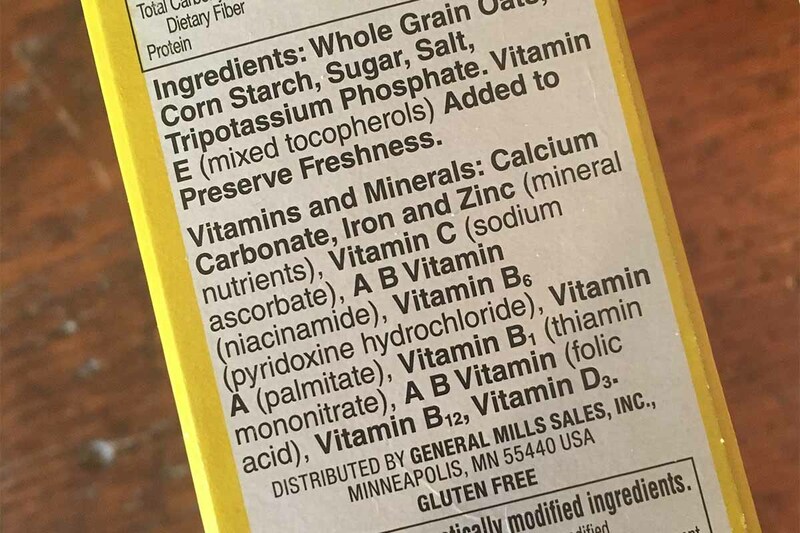 Very quickly someone posted this comment, “The worst part of [cereal name removed by me to not slander the company] is trisodium phosphate. It’s an industrial cleaner that’s not even safe for household use, but they put it in our food!! !” A few others joined in on the negative comments to which my friend ultimately posted, “I fed this cereal to my kids their whole lives! I feel like such a bad mom now!! !” Yikes! My friend went from excitement to thinking she’s a bad mom! Is she really a bad mom? An ingredient IN something does not mean that the ingredient IS that something. In addition, the same ingredient in more than one thing does not mean those things are the same either. Sodium bicarbonate is also used in heavy-duty cleaning just like the compound mentioned above. Other uses of sodium bicarbonate are to de-tarnish silver and to put out fires! If that’s the case it must be awful for us and we should never ingest it, right? Not quite. Sodium bicarbonate is also known as baking soda. We add this to our foods because when it reacts with something like vinegar, lemon juice, milk, or honey it produces carbon dioxide gas which bubbles in your dough and causes the dough to rise. But wait, isn’t carbon dioxide toxic? Technically, yes, it is. People have died from carbon dioxide inhalation so are you a bad parent if you do any baking in your house? OK, this is clearly a ridiculous question so please do not send me angry emails. I’m being extreme to make a point that we need to understand more about substances in our foods and when we do understand more we can make an educated decision about the safety of the foods we eat. There are just 92 naturally occurring elements, with just 25 of those being found in living things. Everything we come into contact with is made of elements that come together in amazingly different ways to make compounds with amazingly different properties. It’s glorious. (Please forgive my chemistry lesson. It is one of the things I love, and I could probably drone on for hours, but I’ll attempt to keep it brief.) Just as these elements come together to make incredibly different compounds, compounds will come together to make incredibly different foods or materials that we use in every-day life. So now we need to understand the properties of the different compounds. Does it matter if they are combined with other compounds? And how does concentration come into play? Concentration is HUGELY important. A quick example: would you willingly consume something that has been known to cause liver damage or even death? Would you give it to your children? If you thought no, you might want to think again. I’m talking about acetaminophen, the active ingredient in Tylenol. A wonder drug when you have a headache or muscle ache. In low doses it is extremely helpful (and almost seems miraculous to a crying toddler with an ear infection!) but in high doses it is very harmful. So it’s not an easy answer. We need to have more understanding.